Rather than hijacking your body with a drug, chiropractic care centers on the adjustment. We use our hands to add just the right amount of energy at the right time and place along your spine. Our precise adjustments improve the biomechanics of affected spinal joints. That helps reduce muscle spasm and restore proper nerve communications between your brain and body. At Gallagher Family Chiropractic, we rely on two highly-effective, time-tested adjusting approaches. First, we perform an analysis of your spine using a special heat-sensing instrument. You’ll be gowned so we can accurately measure the temperature from top to bottom. We correlate these results with full spine X-rays. Then, using our hands, we feel how each joint is moving. Together, these details tell us where to deliver the specific adjustment(s) that require the least amount of force. Learn more about the Gonstead Technique. This approach combines the best features from a variety of different chiropractic adjusting methods. 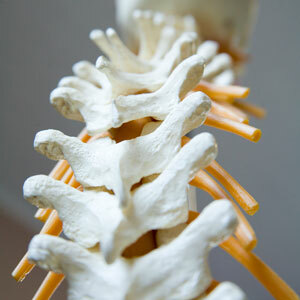 We’ll have you turn and bend and study the way individual spinal bones move. We’ll use our hands to detect areas that are “stuck” and not moving properly. Sometimes, while you’re lying face down, we’ll check the length of your legs. This can reveal problems in your upper neck. With a clearer picture of your spine, we deliver a precise thrust using our hands. Sometimes you’ll hear a slight “popping” sound. This is from the shifting of gas and fluid in the joint. The sound isn’t particularly important and varies from patient to patient and visit to visit. Thankfully, adjustments feel great. If they didn’t, patients simply wouldn’t return the repeated visits necessary to retrain and strengthen their spines. As nerve interference resolves, your body’s ability to self-heal revives, symptoms subside and health can return. Naturally. Without drugs or surgery.